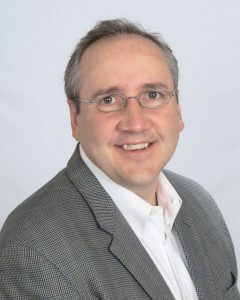 Shawn Sock is Senior Vice President at Brown and Caldwell (BC), serving as Director of Integrated Project Delivery, and as President of Brown and Caldwell Constructors. He brings 25 years of consulting, engineering, construction, operations, and management experience in the development and delivery of water and wastewater infrastructure projects. Over the past 15 years, his focus has been on the development and delivery of design-build, design-build-operate, public-private-partnerships. and engineer-procure-construct projects, serving public and private sector clients throughout North America, as well as international clients in Asia, Australia, Europe, and the Middle East. Under Shawn’s leadership, Brown and Caldwell has expanded its design-build portfolio with a range of complex projects in major municipal markets and in multiple industrial sectors. With its clients and partners, BC has delivered innovation through design-build projects of an award-winning caliber: North Davis Sewer District’s energy-efficient wastewater treatment plant (Engineering News Record Best Project 2016), Miami-Dade’s state-of-the-art cogeneration system upgrade (DBIA Award 2015); and Cincinnati’s Oakley Station CSO Separation sewer project (DBIA Award 2015).